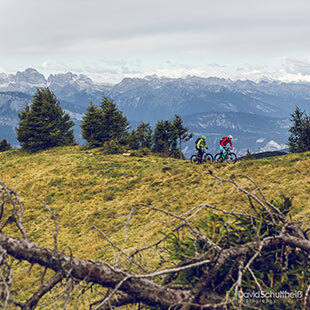 In the heart of the Dolomites the scenery is majestic in any direction you choose to ride. 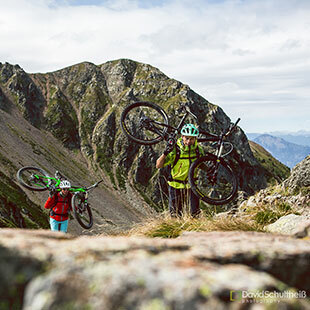 Let’s take a look to the most known chains and plan your next, unforgettable ride. The choice is yours! 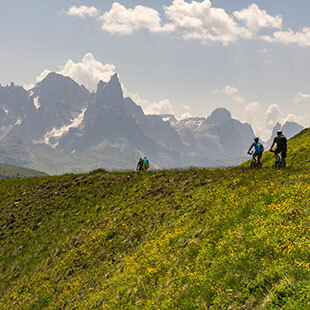 The Sella Group offers an extraordinary collage of shapes and colours and a rich selection of routes away from the crowds. 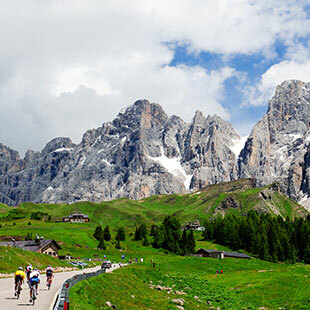 Defined by some as a castle of rock that changes its appearance on every side, and by others as a majestic island which aims at the sky, the Sella is the most distinctive Massif in the Dolomites. 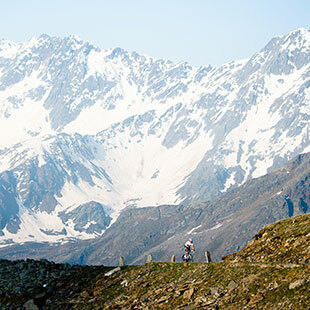 The rapt silence and aristocratic grandeur of these peaks are enough to make you stop to contemplate the view. 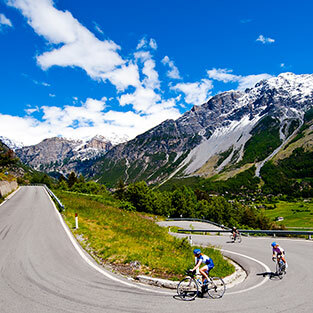 Do not fixate for too long on the uphill road towards the peaks of the Passes which you are looking to conquer and add to your cycling Passport, or you may end up in the nearest village enjoying local delicacies. Eight peaks of the Brenta Dolomites stand over 3,000 metres, with the majority exceeding 2,500 m in altitude. 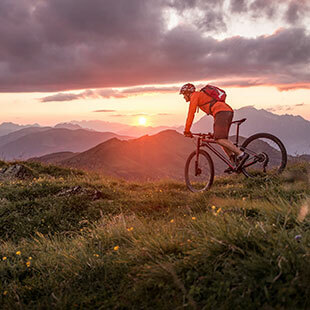 Scenic peaks, ramparts, gullies, rocky plateaus, rugged trails and dirt roads extend along the countryside and fields cultivated with flowering apples or vineyards. 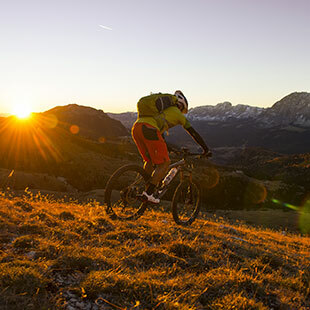 The Brenta Dolomites region is a mix of a thousand opportunities whose common factor is the difference in elevation and the high altitudes reached. 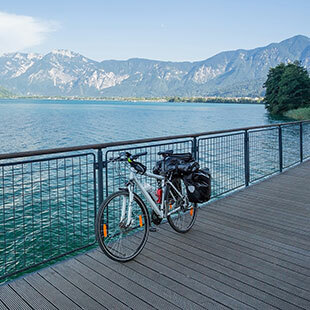 The open view and the various ups and downs that you will find here can be misleading even for experienced cyclists. It is in fact difficult to correctly assess both the slopes, as well as the right gear. 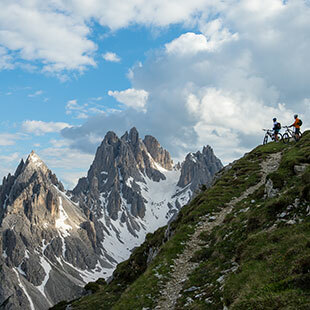 The Lagorai Dolomites chain is best known in the biking world for the more than 1,000 km of trails offered to lovers of fat tires. 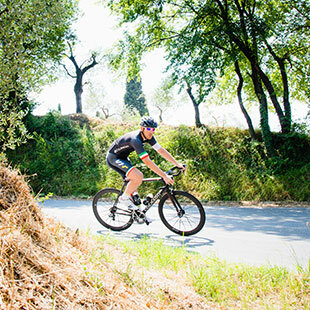 Nonetheless, if you have not taken this destination into consideration for your next active road bike holiday, it’s time to change your mind. 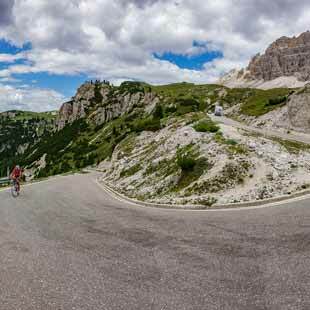 The Lagorai Dolomites are a starting point for many historic climbs that over the years have challenged top riders of the Giro d’Italia, such as the San Pellegrino Pass, the Manghen Pass, as well as the nearby Pordoi. 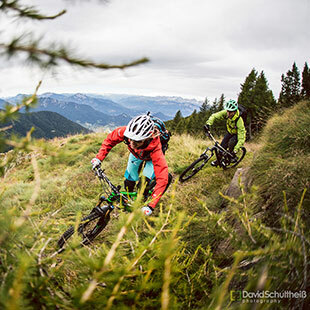 Alternatively, you can head out towards its descents between drifts, jumps, banked turns and steep slopes. 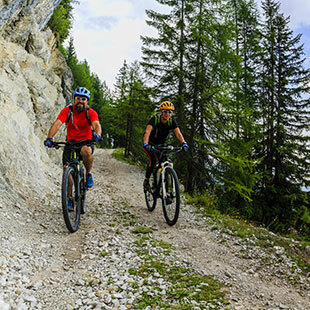 This is what awaits you, a surge of adrenaline and pure thrills, while taking in the scenic landscapes that make the fatigue all the more worthwhile. 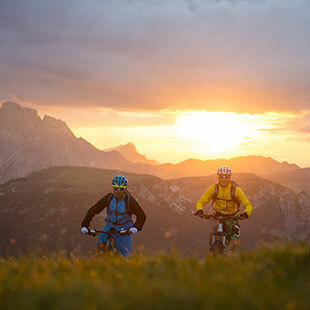 Around Sesto, the opportunities for lovers of the two wheels are endless: green landscapes, mountains rising into the blue sky and idyllic villages make the heart of every cyclist pound with excitement. The view alone is worth the journey to reach the sites. 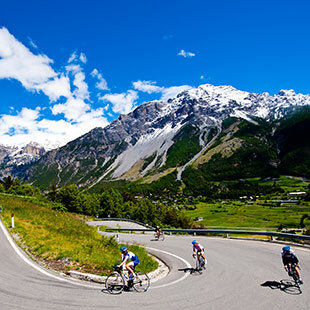 From Dolomite mountain passes and classic racing routes, to the famous Pustertal Valley bike path ideal for family outings, all the way to the legendary climbs that have shaped the history of the Giro d’Italia, such as the Kronplatz and the Three Peaks of Lavaredo. 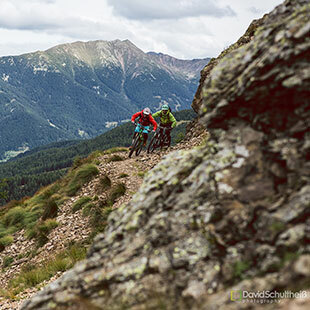 But also the legendary Stoneman Trail, a 120 km route with a difference in altitude of more than 4,000 m, to the numerous sporting events taking place in this area, above all the Dolomiti Superbike MTB race. 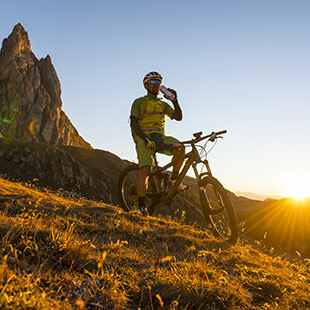 There is also no shortage of thrills for enduro lovers, thanks to the new “Orto del Toro” trail overlooking the Three Peaks of Lavaredo and the “Enduro Single Trail Tour”: a 4,500 metre altitude difference with 5 lifts and all single trail descents. Traditional dumplings made with bread, milk and eggs, typically flavoured with the addition of speck, ham, cheese and parsley. In every valley, they are cooked in different ways: with buckwheat, steamed or thin and pressed. The dish was a staple for farmers and peasants and it was eaten on Tuesdays, Thursdays and Sundays. In times of famine, the cubed ham was replaced with turnips. Cutting the dumplings with a knife is a terrible insult to the cook: tradition, in fact, requires that you break them up with a fork. There are also sweet variations of this traditional dish, with the addition of cinnamon/cloves, strawberries or berries. Alpine blue-sow-thistle is a wild plant with a bitter taste that grows at an altitude of 2,000 metres at the edges of the snow. It is pickled in a sweet and sour brine and is used in many recipes. 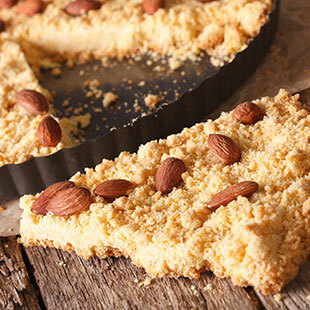 Cake made with butter and almonds with a crumbly consistency, perfect for recharging your batteries after a long day of biking or for starting off your day with a bang. Typical dumplings made of stale bread and spinach seasoned with eggs, milk and salt. The dumplings are cooked in boiling water and seasoned with Parmesan cheese and melted butter. They are a great and light first course even for cyclists. An offal stew made with hearts, liver and lungs, to which sweetbreads can also be added. Traditionally it is served with yellow corn polenta or darker buckwheat polenta and fresh seasonal vegetables. Traditional sweet made with rolled or stuffed dough. In its most famous version, it is sweet and filled with apples, pine nuts, raisins and cinnamon. It is traditionally prepared mainly in the Alto Adige, Trentino, Veneto and Friuli Venezia Giulia regions. Every place has its own recipe. 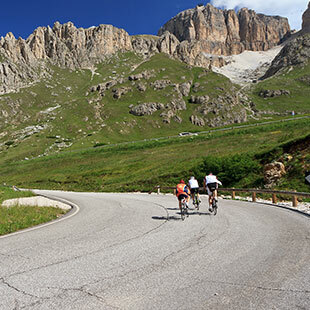 The Sellaronda Dolomites owe their name to the ski and road route of the Sella mountain range located between the Fassa, Livinallongo, Badia and Gardena valleys. 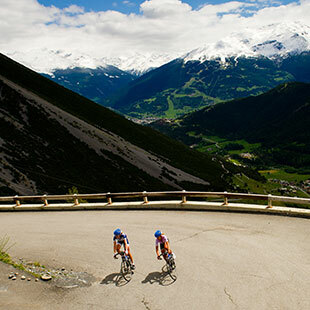 In winter, it is an ideal destination for skiers, while in summer cyclists make a stop here to conquer all the major mountain passes in the area. The Brenta Dolomites are a subsection of the Southern Rhaetian Alps located entirely within Western Trentino. Traditionally, the group is divided into three parts: the central part is the most popular with visitors, with the most picturesque peaks of the Group; the northern part is wilder and less crowded; and finally, the southern part is particularly popular during the summer season. 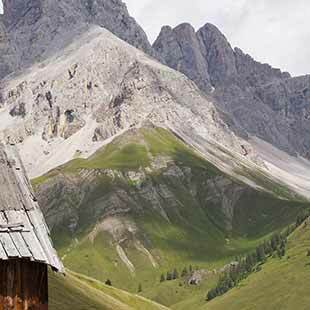 The presence of man in the Lagorai Dolomites has always been limited. 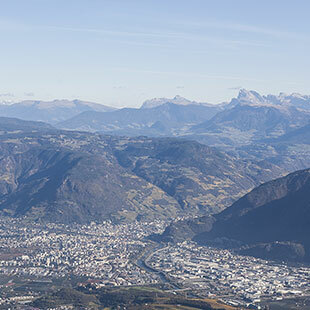 In the middle ages, for example, signs of civilization were evident in alpine pastures further down the valley and during the summer pasture months. And this is precisely the charm of this chain even today. A rough and wild mountain, mostly uninhabited, slaughtered a century ago by the violence of war and transformed into an oasis of pristine and unspoiled nature. 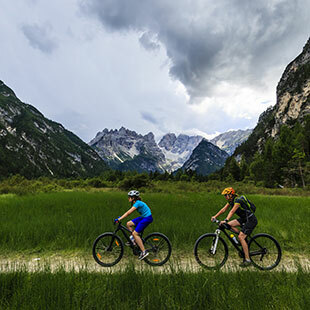 Located between the provinces of Belluno and Bolzano, the Sesto Dolomites encompass a rather broad area situated within the Three Peaks natural park. 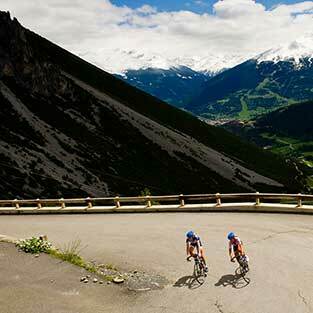 Of all the Dolomites groups, this is the only one that gets its name from a village, that of Sesto (or Sexten). 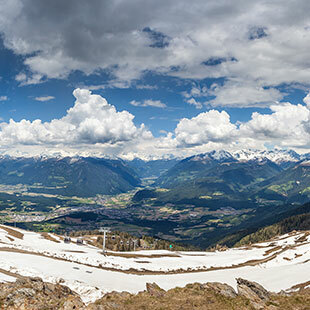 Named after the village of the Three Peaks, Sesto owes its name to the three imposing peaks: Cima Grande (the middle “big peak” standing at 2,999 m), Cima Ovest (“western peak” standing at 2,973 m) and Cima Piccola (“little peak” standing at 2,857).